Several days ago, when the controversy around Atif Mian’s appointment was beginning to erupt, a friend sent me a brief clip of Fawad Chaudhry’s press conference. In this clip, Chaudhry can be seen defending the government’s decision to appoint Mian as a member of the newly formed Economic Advisory Committee (EAC). My friend, who unlike me is an ardent supporter of the Pakistan Tehreek-e-Insaf (PTI), shared that clip to prove that liberals – or fake liberals/ libtards/ pseudo-liberals as he calls them, which of course includes me – have been generally unfair to the PTI. To be honest, when I saw the clip, I was stunned into silence. Never before in my life had I seen such a clear stance on a sensitive issue. I have always disliked Chaudhry, but that press conference actually made me reassess him and his party. Chaudhry stated that minorities have the same rights as Muslims and Pakistan belongs to everyone. He clarified that Mian’s appointment was based on merit and was advisory in nature. Not only that, he also espoused the message of tolerance in terms of religion. For a cynic like me, his words were like a fresh breeze. Frankly, I could not believe my ears. Wondering whether I had been wrong and unfair earlier, I called my friend and told him I was positively surprised. In response, he reminded me of the countless arguments we’ve had where he begged me to give PTI a ‘fair’ chance. “To be honest, I am extremely and positively surprised! I will definitely give him a chance. All I want is a liberal, tolerant Pakistan and a leader who can stand up for merit as well as for the rights of the minorities”, I assured my increasingly excited friend. For the next two days, I honestly rooted for PTI! I found it hard to believe anyone could actually be opposed to Mian’s appointment. He is, after all, a brilliant economist at Princeton, who was also identified by the International Monetary fund (IMF) as one of the 25 brightest economists in the world. What does religious faith have to do with brilliance, I wondered? Surely, an overwhelming number of people in Pakistan were likely to be rational enough to not dispute Mian’s appointment, which is in the area of economic development and is advisory in nature, despite their issues with his religious beliefs. I was aware that fringe groups in Pakistan always created issues, with this matter being no exception, but I honestly expected them to be defeated. Chaudhry’s stance – which could not have come without Imran Khan’s approval – was what gave me a lot of reassurance. The very fact that Imran has the absolute loyalty of his base – which in other circumstances I always found highly objectionable – was positively comforting in this case. Only when I started going through Mian’s twitter account did I get an inkling that not only the so-called fringe, but some apparently ‘normal’ Pakistanis are also completely irrational in nature. Some of the tweets posted by haters were repulsive, as they asked Mian to resign only because of his religious beliefs and threw every kind of invective his way. I felt nauseated after reading such content, as I simply could not fathom what his personal beliefs had to do with his capability as an economist. However, what I found comforting was the large number of people cheering Mian and asking him to ignore the vitriol. ‘If only PTI and Imran show some spine as, despite the hatred, there is enough support here as well. Given that Imran is backing this appointment, this should not be a problem’, I thought to myself. Yet, I was proven wrong! In a move that brought me back to Earth from my fantasy land, PTI decided to remove Mian from the council. The ‘great’ leader, who has always championed himself as a steadfast man who never gives up and can withstand any pressure, buckled down almost immediately and asked Mian to leave the council. I was stunned; I had naively thought this time would be different. But it turned out to be even worse, as a merit-based appointment for an advisory position was revoked, despite tall claims by the government that it won’t buckle under pressure. Perturbed, I now called the same friend. He expressed his disappointment, but immediately started to come up with the typical apologist defence. Yes; to be fair, it was PTI who decided to include Mian in the EAC despite the risks of controversy. Moreover, it is also true that some senators of the PML-N and the MMA submitted a resolution in the Senate asking for Mian to be sacked, which is obviously highly condemnable. To that extent, PTI is ‘forgivable’. But what my friend has overlooked is the high pressure from some elements within the PTI as well. On social media, a substantial number of PTI supporters were voicing their disapproval over the appointment. However, the pressure was by no stretch of the imagination high enough to have warranted Mian’s removal. Where PTI really is to be blamed is the way they revealed their complete lack of spine. The entire matter was badly handled to the extreme. If the government did not have the nerve to withstand even slight pressure, it should not have included Mian in the first place. To back down after making tall claims, and that too when the pressure was not that immense, merely showed how weak-willed this government is. Unfortunately, this step has strengthened the already deeply entrenched bigotry, and signalled to all extremists that they can easily pressurise the government. Secondly, and more importantly, in the recent election campaign, PTI played on this wicket and constantly targeted the PML-N on the matter of the Finality of Prophethood. In fact, Imran went to the Khatam-e-Nabuwat Conference, where he alleged that Nawaz Sharif had deliberately changed the oath-taking to appease some western powers! I pointed out in a previous blog that although Pakistanis apparently do not vote for religious parties, religious sensitivities matter and are thus politicised by mainstream parties. To a certain extent, PTI has simply reaped what it sowed. One can constantly argue over the extent of PTI’s guilt, but the fact is we are all collectively responsible. 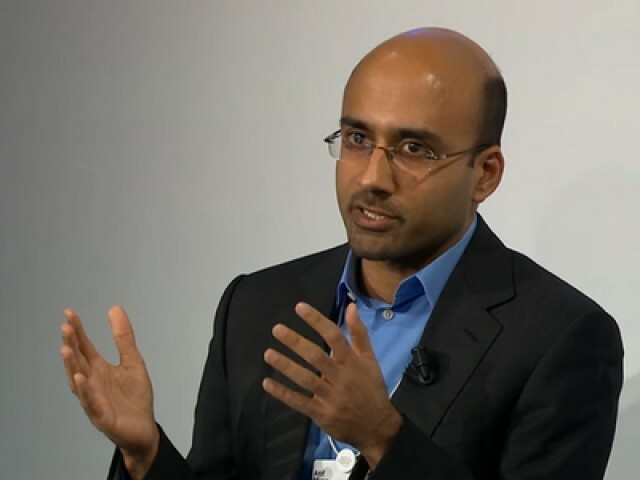 After Mian’s removal, Asim Ijaz Khwaja, another brilliant economist at the Harvard Kennedy School, has also resigned. Asim had been my senior at Aitchison College and frankly, I wanted him to resign in protest, for it was the honourable thing to do. Following Asim, Dr Imran Rasul also resigned, severely depleting the EAC. In the end, we have lost several brilliant minds due to the sheer stupidity and bigotry of some. On top of it, we are now facing a well-deserved global backlash, as several reputed economists have expressed their disappointment and disbelief over the decision to remove Mian. After all, why would a struggling economy like Pakistan set aside one of the leading economists in the world? This fiasco has merely revealed to the world that we are in fact a bigoted society who will easily disregard someone’s competence due to their religion. We have also revealed to the world the true plight of minorities in this country. At the end of the day, we are our own worst enemy. 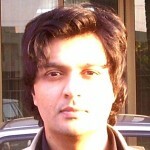 What some of us did not realise while abusing Atif was that he did not need this post – we needed him. He is a brilliant academic presently teaching at one of the most outstanding universities in the world; he did not need this appointment at all. After Mian’s removal, I visited his Twitter account again. I saw his tweets where he wished well to Pakistan and pledged his continued support, and tears fell down my cheeks. Here was a man we had abused and humiliated, and yet he remained willing to help. Indeed, a better human being than many of our so-called religiously pious individuals. 2/ Nevertheless, I will always be ready to serve Pakistan as it is the country in which I was raised and which I love a great deal. Serving my country is an inherent part of my faith and will always be my heartfelt desire. 4/ My prayers will always be with Pakistan and I will always be ready to help it in any way that is required. On behalf of my country, I would like to apologise. We are sorry, Atif Mian! We do not deserve an outstanding and an incredible person like you. May Allah (swt) always bless you! thrives in Punjab. They have their chanda boxes and their offices all over Punjab. Ahmadis are not allowed to shop in some bazaars in Lahore [the cradle of terrorism]. terrorist outfits, that have butchered 78,000 men, women and children in Pakland. PML-N supporters as well as PTI supporters are not very different, they are both hero worshippers, and both hate the minority group in question. So lets not start with the partisan blame. Einstein was a professor, an academician. He did not work in a lab. He taught physics. Are all professors, teaching medicine in a medical college/university are doctors? So, they are all academicians, in medical colleges. Yes, close your eyes to yet another chapter of Pakistani bigotry and discrimination against minority talent that could serve the nation because it’s uncomfortable and inconvenient for you as a privileged biased majority citizen. Let’s be honest with what you’re disingenuously saying. This minority citizen was one of those super competent Pakistanis from around the world, at the top of his field and therefore qualified. What you mean is, surely there is a majority Muslim only candidate, even with less credentials or qualifications, that you would be willing to settle for to appease your hegemonic religous intolerant feelings. The job discrimination and overall anti-minority rights or lack of human rights and bigotry actually makes a big difference in metiocracy and creates an overall negative impact in society. Yet it was an inflammatory PPP tweet that fired things off in this latest incident, the mainstream party of original sin of discriminating against this minority. This capitulation by PTI will be the first of many!